That they don’t just have adorable packaging—they actually smell good and work well, too. 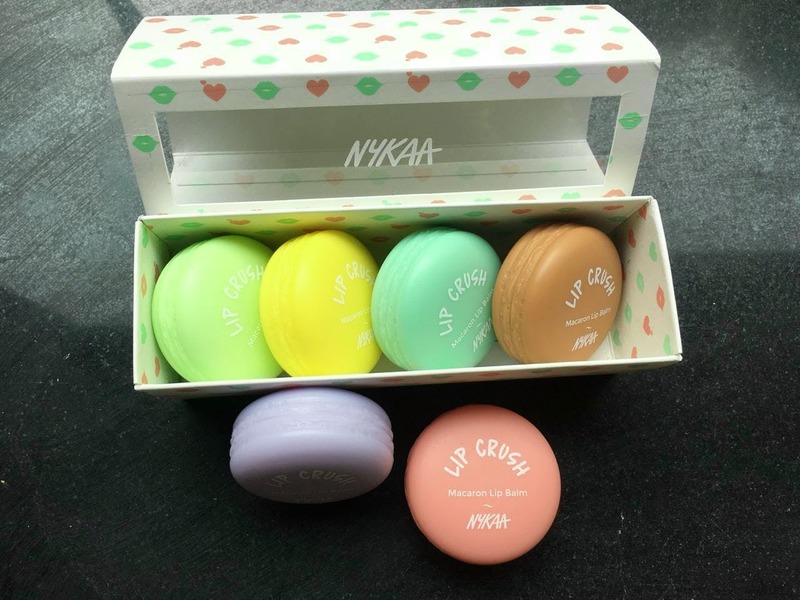 So, honestly, I’m a moth to the flame with cute packaging, and when Nykaa launched these macaron-style (and scented) lip balms, I was excited enough by the pretty little boxes that I forgot I actually don’t even use lip balm that much. However, these guys are great if you are an avid lip balm junkie. They smell (but don’t taste) like the flavour they have printed on their behinds, and come in six variants—Chocolate Hazelnut, Lemon, Green Apple, Blueberry, Strawberry and Mint. I’ve grown a little addicted to the Blueberry and Mint ones, but could take or leave the Chocolate Hazelnut and Green Apple. The best thing, though, is that they really are just so cute. They smell great, but they could have more taste than they currently do—that’s always a plus.